HELP unexplained structure in survival world. I'm new to this forum so i'm hoping this works. 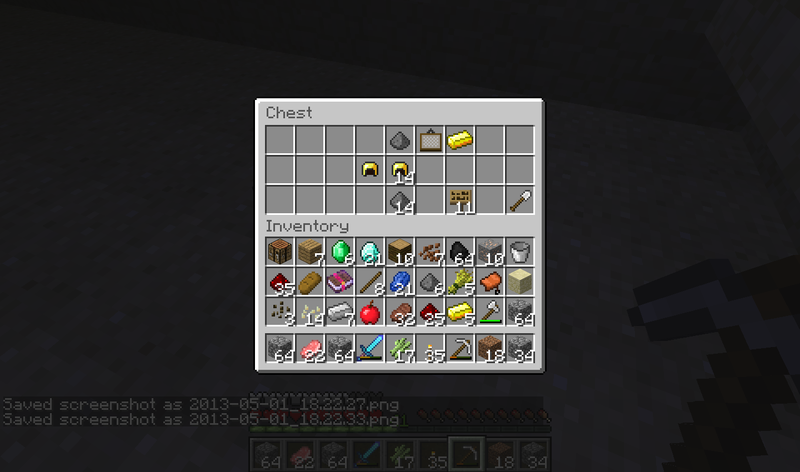 About 6-7 years ago (according to the screenshots below) I had a survival Minecraft world that was my primary world. Bear in mind this was survival and I can't remember if you could enable cheats or not but I was not able to give myself items, it was purely survival. I found this pyramid in my world that I haven't been able to explain to this day. From the screenshots you can see it's just a regular pyramid, but inside there's spawners and chest with 14 stacked gold helmets. Obviously you can't stack helmets and they don't spawn in dungeons like that. 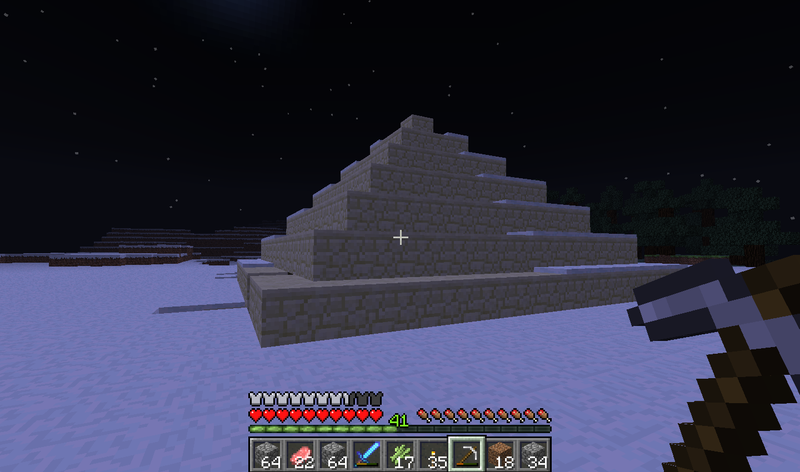 ALSO desert temples didn't exist at this time so searching 'Minecraft pyramid' doesn't come up with what I need. I've searched the internet many times but I have yet to see someone with this also in their world. If anyone can explain that would be amazing. P.S. i only have screenshots because we now have a new computer, so the world itself is gone. That's probably player-created. The game has only ever had 1 structure that contains multiple spawner cages (not counting the merging of two separate instances, like what used to happen with cobblestone dungeons spawning too close to each other). 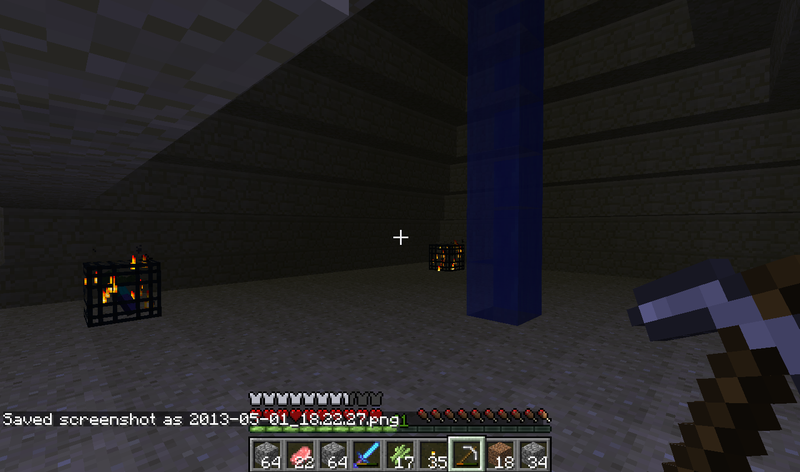 That would be the abandoned mineshaft and it only contains cave spider spawners. The pyramid shape has been seen in just 2 structures in Minecraft, in the form of the brick pyramids used by Notch as a testing platform to figure out how to generate structures in the first place (they had no loot or spawner cages in them, things that probably didn't even exist back then) and the later desert temples. Your picture seems too small to be related to these. I suppose there could have been really old (and since abandoned/removed) testing structures that lead to the final products we see today, but this would be the first mentions of them so it's probably not likely. The nostalgia folk would've been all over this sort of stuff and would've quickly let everyone know about it. I don't think there are too many versions left that they haven't gotten hold of.